Confidence is built day by day and security is an indispensable part of it. 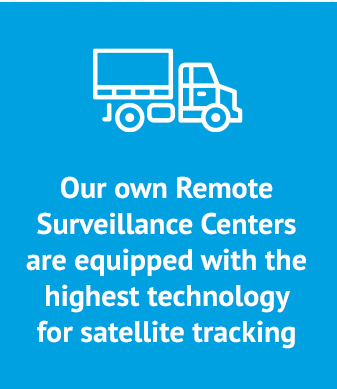 •Our own Remote Surveillance Centers are equipped with the highest technology for satellite tracking. •We have direct communication with police corporations nationwide. •Our vehicles are 100% equipped with satellite tracking service. •Strict training plan for drivers. •Qualified and certified monitoring personnel attending 24 hours a day, 365 days a year, throughout the origin-destination journey of your merchandise..
•All our drivers are "Reliable Resource" certificated.